Everything you need to enjoy life in your own backyard we have for you here at Whitney’s Farm, the Best Farm Market & Garden Center in Cheshire and Berkshire County. 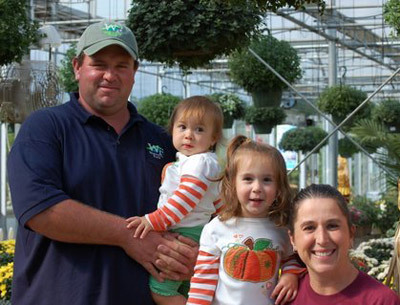 We are a full service garden center and farm market. We have your back yard and garden needs covered as well as fresh fruits, and vegetables, fresh baked items, and our signature sandwiches in our deli. We are a third generation farm, started in 1940 when my grandfather Charles Whitney operated as a dairy farm. My father Peter Whitney continued to run the dairy but also grew sweet corn and other crops which he sold from an old truck on the side of Route 8. My wife Michelle and I started running the business while we attended Stockbridge School of Agriculture at The University of Massachusetts. My father Peter and mother Eileen are still very active in the business. My Uncle Mike and Aunt Carolyn also work with us here on the farm. The fourth generation, our daughter’s Olivia and Sage will be helping us on the farm soon I’m sure. Our business has expanded substantially in the past 10 years. We have an amazing staff working here at Whitney’s to help you with your shopping needs. We are always looking for bright, energetic people to join our team. Please click the link below for a job application and email to whitneysfarm@gmail.com or stop in and drop it off in person. We have a real love of gardening here at Whitney’s Farm Market & Garden Center and we only hope that we can continue to help others become as passionate as we are. Here are some resources to help you become more knowledgeable gardeners. We hope that you will find these garden resources helpful and enjoyable. Feel free to browse our garden tips and articles, view our collection of videos or use our Helpful Links to find gardening information from reputable sources. 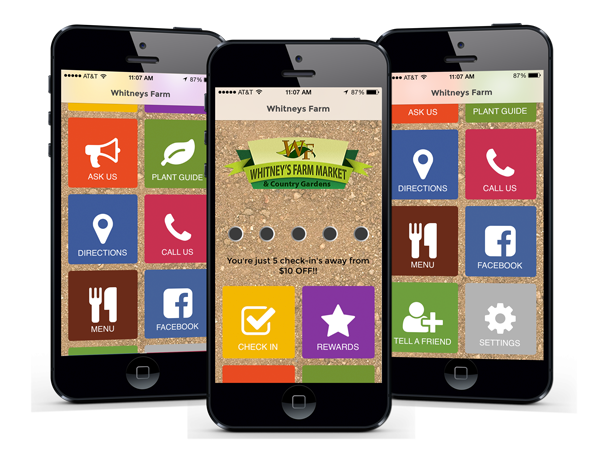 The Whitney’s Farm app is designed to help you have more fun in the garden and at our garden center. Each time you visit the garden center your purchase will be validated at the register and you’ll receive another ‘punch’. After 5 punches you’ll earn a reward. Click on the rewards tab and you’ll see all the rewards you’ve earned and all those you are eligible for. Download it from the iTunes App store for your iOS device or Google Play Store for your Android device.